Here at Rainforest Cruises we understand exactly what it takes to make your cruise an experience you will cherish forever. The (not so) secret ingredients include a great destination, a fun-filled itinerary, and an adventurous riverboat, like the Amazon Clipper Cruises, to call home for the duration of your journey. For anglers, the Marie River Sports fly fishing experience is sure to be a highlight of their life. They will have access to around 500 miles of untouched water, teeming with monster fish ready to be caught, admired and released. The Iberostar Grand Amazon cruise is the only ocean style cruise ship serving the Amazon region. So if you’re yearning for an ocean cruise experience in the heart of the jungle the Iberostar could be the perfect choice for your Amazon River tour. Where do I start? How do I explain how we ended up in the middle of the Brazilian Amazon rainforest... from the beginning of course! See Peter and Joyce's adventure on board the Iberostar Amazon cruise in Brazil. 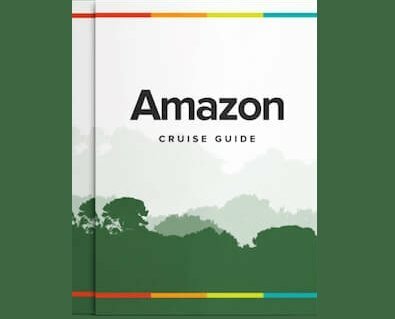 Choosing your Amazon River cruise should be fun, simple and easy. However, with so many different styles to choose from, that's not always the case! Luckily, Rainforest Cruises shows you how easy it is to find the perfect Amazon river cruise based on your personal preferences and budget, using our cruise compare tool. A Brazilian Amazon cruise has always been one of the most active, authentic and adventurous in the Amazon, but now they will be even more so. Starting June 9th, guests will be able to quietly paddle in the most remote wildernesses on earth in one of their new kayaks!